"Passion is a state of love and hunger"
Connecting and re-connecting with our passion is the hardest and most rewarding work of our lifetime. In fact I would argue it is the work we came here to do. It is the calling of passion that propels us to seek out the best in life, and that sustains us during the difficulties we inevitably encounter in finding our way. Callings may last a lifetime, or may need to be redefined as we mature. February 27th - March 3rd in Boca Grande, Florida. 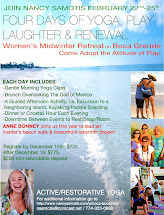 The retreat will be held at the Boca Grande Beach Club on Gasparilla Island. This waterfront locale affords us a private sanctuary to practice gentle/restorative Yoga, share delicious/healthy meals and explore the daily seminar topics in our own way. Passion connects us with presence, enthusiasm and focus, yet does not require talent, proclivity, strength or expertise. Come thaw out with us in Boca Grande! 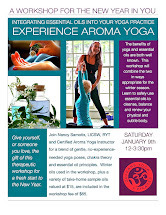 Join us to fine-tune your calling and recharge your spirit.